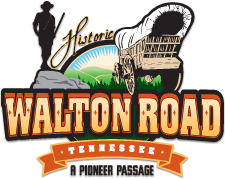 The Walton Road Scenic Byway corridor is replete with natural resources offering outdoor recreation opportunities throughout the picturesque landscapes of the Cumberland Plateau. Explorers of these natural resources, whether by trail, boat, bike, or horseback will often find themselves rewarded by breathtaking waterfalls, rugged overlooks, unique forests, scenic water vistas, and wildlife sightings. Many of the natural resources are protected federal or state wildlife management areas or local wildlife refuges and parks, which make them publicly accessible. Learn about the historical communities along the Byway, and get visitors information. Take a road trip with your family or adventure group. ©2019. All rights reserved. 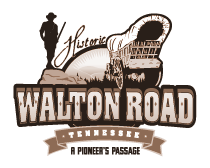 Walton Road Tennessee Historic Byway.